"The Turn was perfect for our wedding reception." The Turn was perfect for our wedding reception....All the guests commented on how beautiful the space was and they were trying to come up with ideas to use the space for parties. Would also be perfect for a shower, engagement party or rehearsal dinner. Our pictures turned out like magazine photos too because of all the beautiful decorations and backdrops. There is a brick wall and chalkboard they will add a design to in the space that is perfect for pics. All of the vintage furniture and decorations can be used as "props" for pics. There is convenient, close and free parking available too. I highly recommend the space and plan to use them again. "It was a Huge Success." We hosted our daughter's bridal shower at The Turn and it was a huge success. We had so many comments on what a unique venue it was. Every detail was exactly as stated. The vintage décor and styling of the space was perfect from the chalk board sign to the place settings. Many thanks for making our event so special! "The Turn was the perfect event space"
The Turn was the perfect event space for our 45-person rehearsal dinner. On a rainy night, the elegant décor and candle-lit tables were a warm and inviting backdrop--a perfect intimate setting to share that time with friends and family before the chaos of the following day. The team at The Turn was polite, easy to work with, and we knew we were in good hands with their excellent styling. "LOVE, LOVE, LOVE this place!!! Our wedding reception at The Turn absolutely blew me away!" This place is seriously special. A total shout out to these ladies for their professionalism, compassion, hard work, excitement, and unbelievable customer service. They were so accommodating to my family’s needs. Any specific requests that we had, they were on it and made it happen. So easy to work with! The best part? They've done the work for you! You don’t have to worry about running around spending time (and money) buying tons of décor, supplies, etc.… They already have it! And they’ll set it up for you! And clean it up at the end of the night! And it’s a beautifully curated collection! And it's affordable! This is a no brainer here. ;) Aside from saving us on cost, one of my most cherished memories is that we were allowed to have my brother cater the food and bring in family favorites. He rocked it! It was totally unique to us as a couple and our wedding. I don’t have enough words to describe how much I love the Turn…you will have to find out for yourself. :) You won’t be disappointed!! If you’re looking to host a truly special intimate wedding reception or killer rehearsal dinner, don’t waste any more time or headache on “venue shopping”. 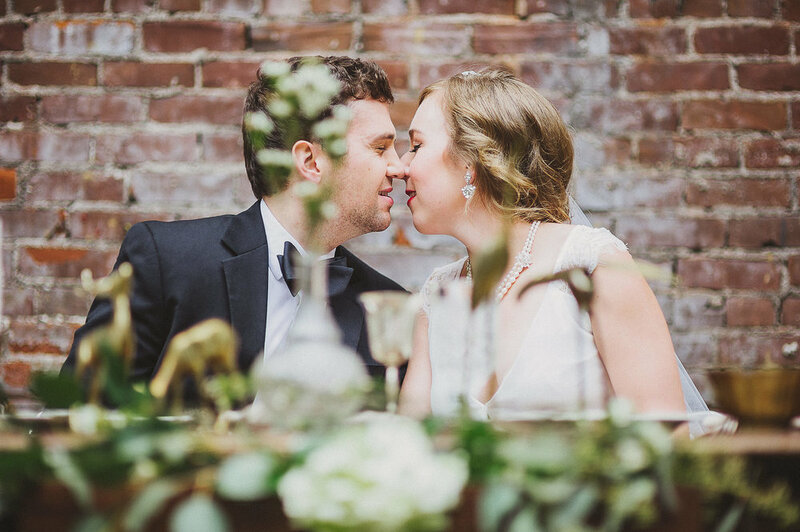 Book the Turn Vintage Warehouse today and just start enjoying your engagement! Wonderful setting, excellent owner who is extremely helpful! I highly recommend using this facility for ANY occasion! The bridal shower that my sisters and I had here was wonderful! Newport is so lucky to have something so cool... Worth the hour and a half drive!!! Events take a turn for the better at The Turn vintage warehouse. I held my sister's bridal shower here, and she loved it so much we decided to come back for the rehearsal dinner! I absolutely recommend using The Turn for any bridal, baby, or other social gathering you're planning! The staff is very sweet and helpful in setting up the event. I held my sister's bridal shower here, and she loved it so much we decided to come back for the rehearsal dinner! Everything about the venue is beautiful and unique. The store merchandise themselves set the perfect background for the party and the space is very functional. I understand a vintage warehouse does not sound like a practical place to hold a social event, however I really urge anyone who is entertaining the idea to at least stop by the venue and check it out. I know you will find it is 100% what you are looking for, I am sure my family will be using this space again very soon! Calling all brides, collectors, photographers, and vintage lovers alike -- The Turn Vintage Warehouse is where it's at! This is such a wonderful unique place to host an event! I hosted our staff Christmas party there and the table was styled so beautifully for a real wow factor. Tons of great vintage stuff for rent or sale! Super chic location to have just about any event. Loved everything about it.